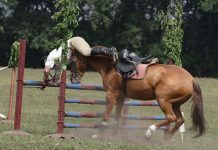 Three-day eventing is the first equestrian sport to take the stage at the 2012 London Olympics. Here are the five riders and horses that will represent the United States from July 28-31 at Greenwich Park. There aren’t too many equestrian sports fans unfamiliar with Karen O’Connor. A living legend in the sport of eventing, O’Connor has the honorable distinction of being the oldest member of the U.S. equestrian team in all three sports. She has a substantial collection of hardware to show for her long career: team silver from the 1996 Atlanta Olympics; team bronze from the 2004 Sydney Olympics; individual silver from the 2003 Pan American Games; individual and team golds from the 2007 Pan American Games; and team bronze from the 1998 World Equestrian Games. Add to that a few Rolex Kentucky Three-Day Event victories in 1991, 1997 and 1999, and it’s easy to see that O’Connor is an asset to this year’s team. Mr. Medicott hasn’t been with O’Connor for long, but he has plenty of experience under his belt with his previous rider. He is one of only two horses on this year’s U.S. equestrian team that has been to the Olympics before. In 2008, he was ridden to team gold by German rider Frank Ostholt. O’Connor officially got the ride on Mr. Medicott in late 2011, and since then they have been a force to be reckoned with. The pair placed fourth at this year’s Rolex Kentucky Three-Day Event and first at the CIC3* division at the Volvo Bromont Three-Day Event, which served as a final selection trial for the Olympic team. Will Coleman, 29, will be competing in his first Olympics this year. Coleman’s career has a solid foundation as he spent three years as an apprentice with David O’Connor, husband of Coleman’s Olympic teammate Karen. In 2001, he won individual gold at the North American Junior and Young Rider Championship (NAJYRC) and moved up to competing at the three-star level in 2002. 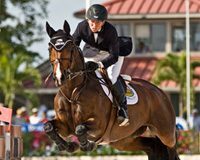 He began competing at the four-star level at the age of 20 and was the top-placed young rider at the 2004 Rolex Kentucky Three-Day Event. Coleman has been competing his Olympic mount, Twizzel, since 2008. 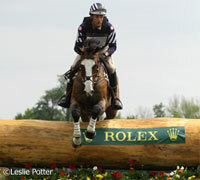 Coleman took Twizzel to his first four-star competition, Luhmuhlen in Germany, where they finished fifth. 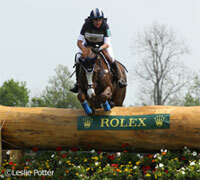 This year, they were fifth at the Rolex-Kentucky Three Day Event. Although clean performances in cross-country and show jumping will be essential to do well in London, look for Twizzel’s impressive performance in the dressage arena. Few competitors have the Olympic experience that Phillip Dutton brings to this year’s team. Dutton has competed for the U.S. since 2006, including the 2008 Beijing Olympics, and had three Olympics under his belt prior to that as a rider for his native Australia. Dutton has a team gold from the 1996 Atlanta Olympics and team gold and individual silver from the 2007 Pan American Games. 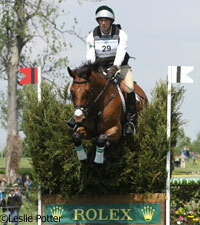 Dutton won the 2008 Rolex Kentucky Three-Day Event with Connaught and was the top-placed American rider at the 2010 Rolex aboard Woodburn. Mystery Whisper is a relative newcomer to Dutton’s stable, but he has proven himself an able top-level competitor. This year, the pair won the Red Hills Horse Trials CIC3*, the Jersey Fresh CCI3* and The Forks CIC3*. Mystery Whisper is a 12-year-old Australian Warmblood gelding. The youngest member of this year’s team, Tiana Coudray, 23, is another first-time Olympic competitor. 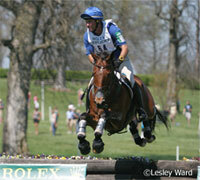 Coudray is an experienced international competitor, however, having won team gold in 2004 and 2008 at the NAJYRC. 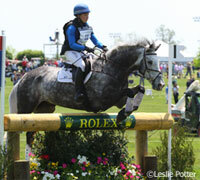 She was named United States Eventing Association Young Rider of the Year three times. Coudray’s stunning gray Irish Sport Horse gelding, Ringwood Magister, has been her partner since 2008. Career highlights include a fourth-place finish at the 2008 NAJYRC, third at the 2009 Jersey Fresh CIC3*, second at the 2009 Twin Rivers Fall Horse Trials CIC3*, First at the 2010 Galway Downs CIC3*, first at the 2020 Jersey Fresh CCI3*, and second at the 2011 Blenheim CCI3*. Ringwood Magister is another dressage powerhouse, earning the top dressage score when Coudray competed him at the 2011 Rolex Kentucky Three-Day Event. Another Australian import, Boyd Martin rose rapidly through the ranks of American eventers to become one of the top riders in the country. Martin has been a U.S. resident since 2007 when he came to the country to train with fellow Aussie Phillip Dutton. He’s racked up wins at the 2008 Bromont CCI2*, 1008 Stuart Horse Trials CIC2*, 2009 Jersey Fresh CIC3*, 2009 Fair Hill International CCI3*, 2010 Bromont CCI1*, 2011 Fair Hill CCI3*, 2012 Jersey Fresh CIC2*. With 2011 USEF Horse of the Year Neville Bardos, he was the top finishing American rider at the 2010 Alltech FEI World Equestrian Games. Martin had several horses in contention for a spot on the Olympic team, but it was 10-year-old Selle Francais Otis Barbotiere who was chosen by the team selectors. 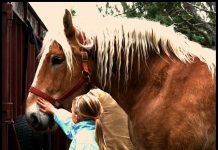 Otis was one of the survivors of the tragic barn fire that killed six horses that were in training with Martin. He’s back in top form, however. This year, the gelding has added plenty of top-level experience to his resume with top-ten finishes at The Forks CIC3* and the Rolex Kentucky Three-Day Event. Keep up with all the Olympic equestrian news at HorseChannel.com/Olympics. Looking forward to seeing everyone in action! I will be praying for you to be safe and also bring home some medals.